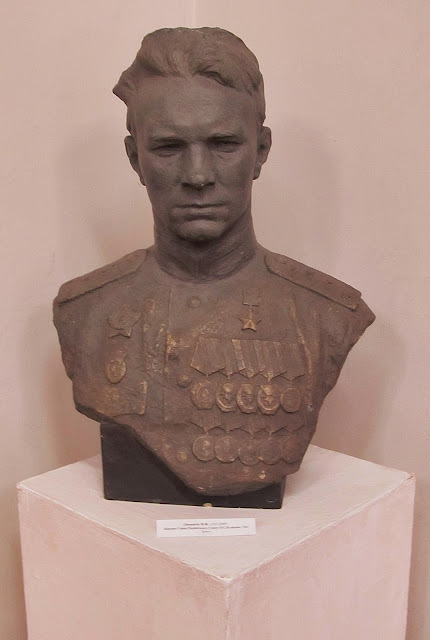 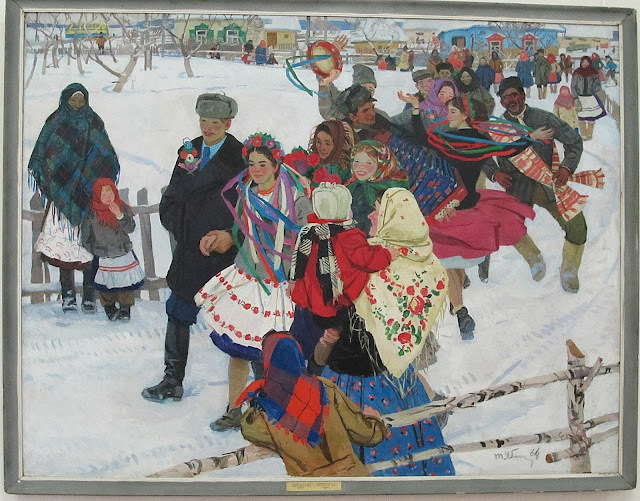 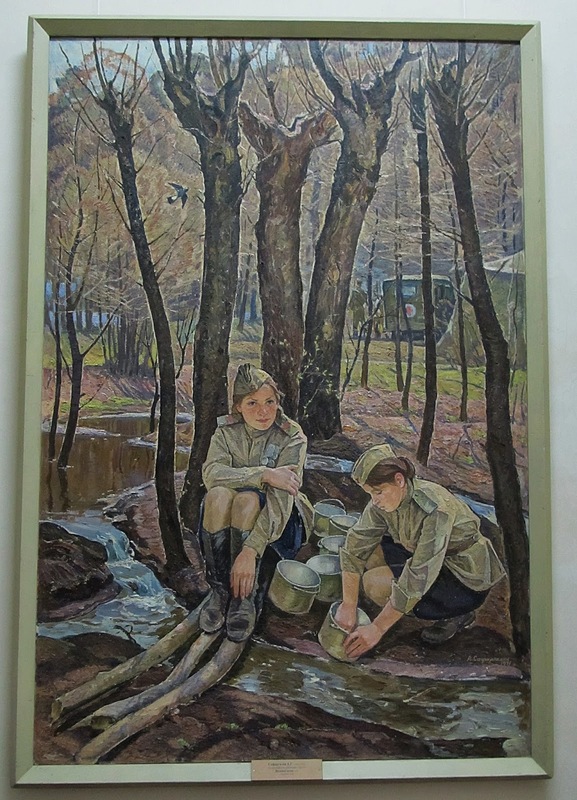 The last time I wrote about the Kharkiv Art Museum I featured the ladies guarding the museum and this time around we will take a look at some of the pieces in the museum. 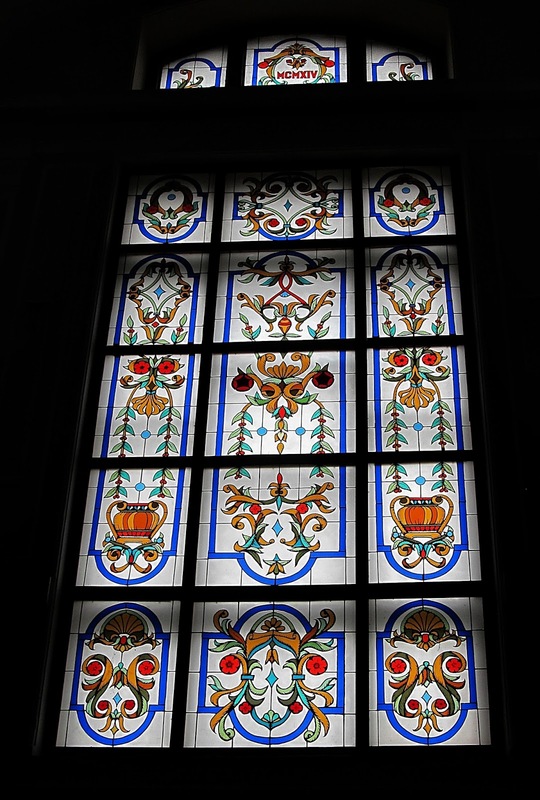 This first photo is of the stained glass window that was at the top of the main set of the stairs to the second floor. 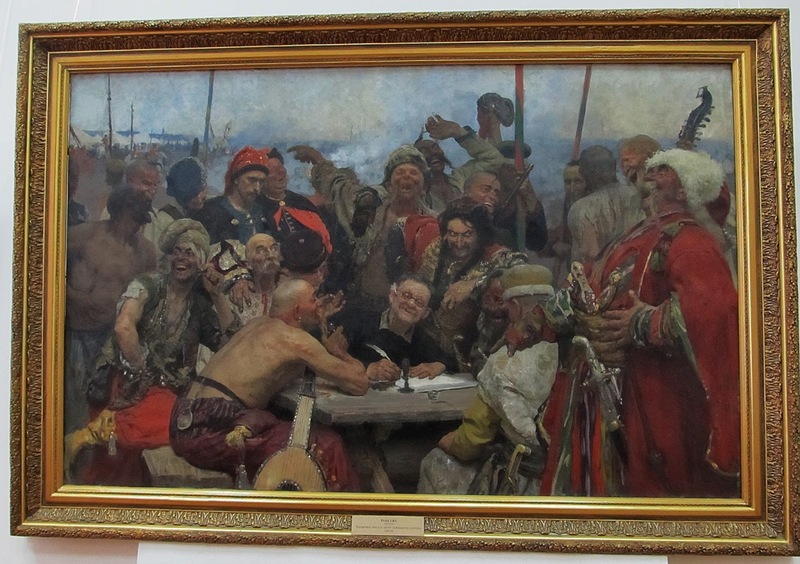 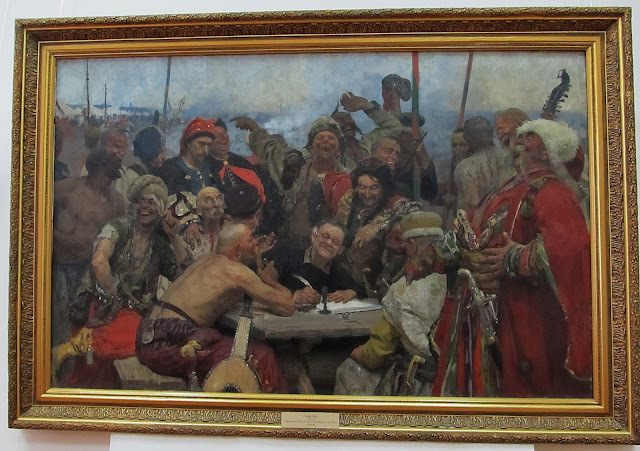 The museum's main claim to fame is a second version of Ilya Repin famous painting "Reply of the Zaporozhian Cossacks to Sultan Mehmed IV of the Ottoman Empire." 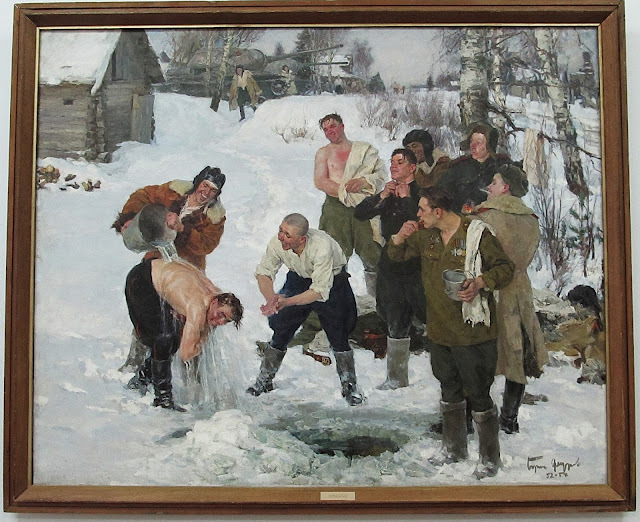 This was an additional version of the painting that Repin began but never completed and it was his hopes to create a more historically accurate version of the original [which you can see in the State Russian Museum in St. Petersburg]. 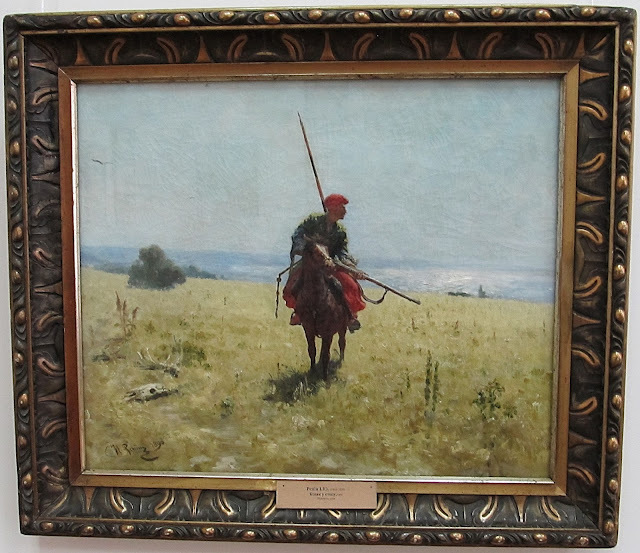 Here are a few paintings and sculptures that caught my eye during our visit. Ukrainian showers are still basically the same temperature today! 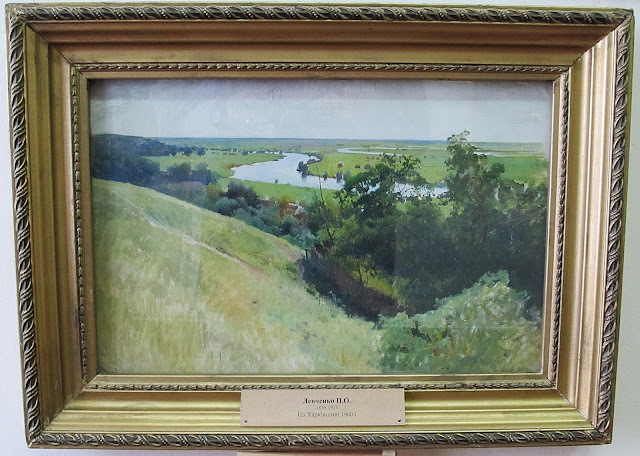 This last one shows the fields and rivers that would eventually be the city of Kharkiv.